Since I am in generally averse to the Grimm fairy tales, this children’s book was difficult at first to take in. 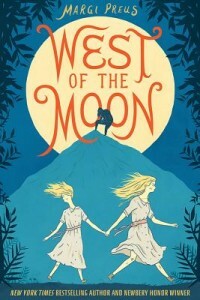 Like Grimm, the author of this book does not shy away from very challenging characters, including a thoroughly horrible goat man who is given a girl as a servant, and has another young girl locked away spinning. At first, this kind of drama almost drove me away. Yet I know there is value in reading fairy tales, so I continued to the very satisfying and unexpected ending. The children’s book is thoroughly based in imagination, weaving together numerous Norwegian folk and fairy tales, many of which are known all over the world. What makes the book work is our ability to be present with the inner dilemmas that the young girl faces, as she is blown here and there by the winds of destiny. Will she save her sister? Will she return kindness with kindness or theft? Each moral dilemma is not always solved in the most expected way. Yet somehow the threads do stay together. After all, it is a fairy tale children’s book, so not everything is the way we want it to be. Because of the intensity of the goat man, this children’s book is for 12 and up. There is a frightening moment where the goat man is about to assault the young girl, and for that reason alone, it is important have parental guidance around when children read this book. Again, a children’s book that is not for everyone, but makes an interesting contribution to the literature of young people.